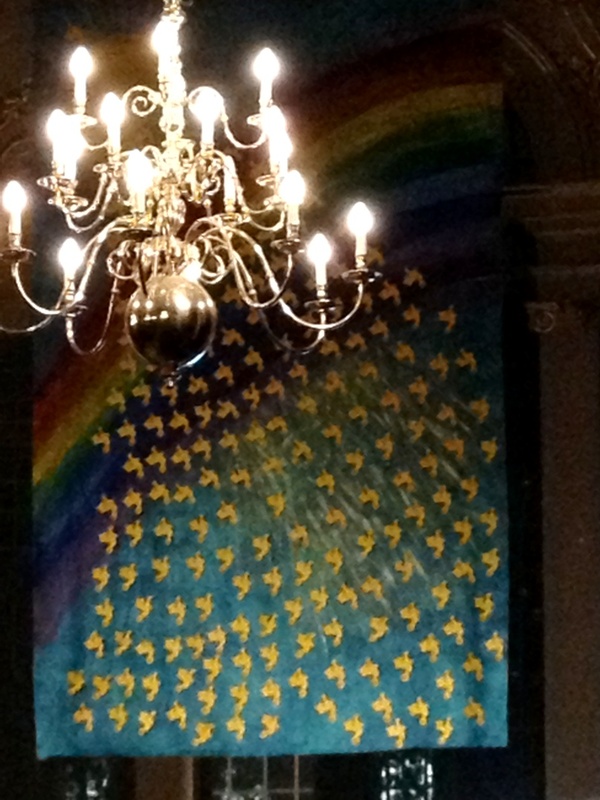 The banner in St Martin’s during the night vigil. Each dove represented one of the competing nations coming to London for the 2012 Games. Barry and Margaret Mizen of Release The Peace, Week of Peace‘s Pastor Nims Obunge and Helen Gilbert of St Ethelburga’s Centre for Peace and Reconciliation were amongst the speakers at the Peace Vigil at St Martin in the Fields on Friday night. Download the London Peace Network insert in the service booklet here – the online version has all the links. Or visit the Events page for more information on all the items listed.